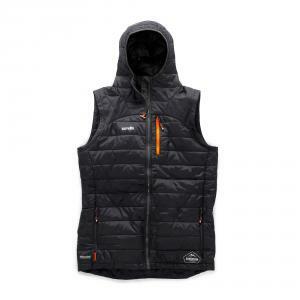 Our range of men’s gilets are windproof and water resistant. Made from a durable padded polyester with a warm polycotton lining, they provide an outer layer of protection and warmth that’s perfect for outdoor pursuits. If worn over a light waterproof jacket, a gilet can provide total protection from the elements whilst providing an ease of movement and flexibility that’s not usually possible with heavy outdoor jackets. When designing our men’s gilets, we took inspiration not just from the latest high street fashions, but also from various vintage styles. The shaped hem brings to mind a waistcoat, which gives our gilet a stylish, almost sophisticated edge that’s not usually found on outdoor wear. In addition to the timeless look, our gilet features two reinforced outer pockets, draw cords at the waist, and a removable hood. It’s available in sizes ranging from medium to XXL, and it offers a relaxed fit that means it can be comfortably worn over other items of outdoor wear. View our full range of high performance work jackets. 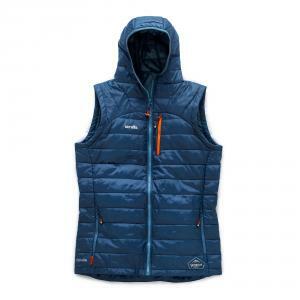 And best of all, you get free delivery on all orders of men's gilets over £50!